Calcutta Boating & Hotel Resorts Pvt. Ltd. Welcome to your dream wedding destination! Calcutta Boating & Hotel Resorts (CBHR) is pleased to tell you more about our wedding planning services. Located just a few minute’s drive away from the bustling commercial and residential addresses of Calcutta, CBHR offers a great accessibility to visitors from around the city. CBHR overlook the imposing E M Bypass and other significant landmarks of Calcutta. Turn your auspicious celebrations into a grand one ! CBHR offers a vast choice to select from different venues, as it spreads across an area of 2 lac sq ft. area with 6000 sq ft on water platform especially designed on demand. The grandeur and the splendor are unmatched with any other venues in the city. Founded in the late 80s by Mr. Karim Buksh Khan, a name well remembered for its pioneering idea of boating in Calcutta for the first time. His vision nurtured the craze for boating in the 90s. However, the early 2000 witnessed the decline in the trend, which finally led to yet another vision incorporated in the history of Calcutta.  In the year 2001, his sons – Mr Aquil Ahmed Khan, Javed Ahmed Khan and Parvez Ahmed Khan decided to shift their focus into a new dimension thus providing Calcutta with its first ever banquet halls with lawn in the open air by the lake side. This opened the gates of the Calcutta boating Club once again but only to be carved into a great wedding and event venue and to be known as the “Calcutta Boating & Hotel Resorts Pvt ltd”. The inauguration saw the inception of “Bandhan” the first banquet hall in its premises. Three more venues were added in years to come, the latest being “the Orchid” – spread across 1 lac sq. ft by the breath-taking lake by its side. It just doesn’t end here, the Khan Family, decided to give the majestic feel to the venue by associating it with the R.K. Weddings, creating two grand theme setups on water, making it one of the most romantic theme till date. You can be rest assured about the in-house décor and catering, riding your imagination to new heights. CBHR offers a wide range of venues to choose from followed by customizations based on your requirements. The Open air lawn, AC banquet halls, additional AC Hangers, Separate rooms for bride and groom, separate rest rooms, lake side view, additional water platform of upto 6,000 sq ft and more than 1000 car parking at a single time, CCTV surveillance and alert security services are few of the worth mentioning features. We are designed to make it larger than life.